The Brvtalist is pleased to present the music video premiere of "Scarper" by Swarm Intelligence. The track comes off the artist's recent release, Home Recordings, out now on the one and only Instruments of Discipline. With an assaulting blend of rhythmic noise and splintered sonic abstractions, "Scarper" is perfect primer to the record's vast audio experience. The visuals are by Brvtalist favorite X-IMG and transport the viewer into a twisted world of torture and mutation. 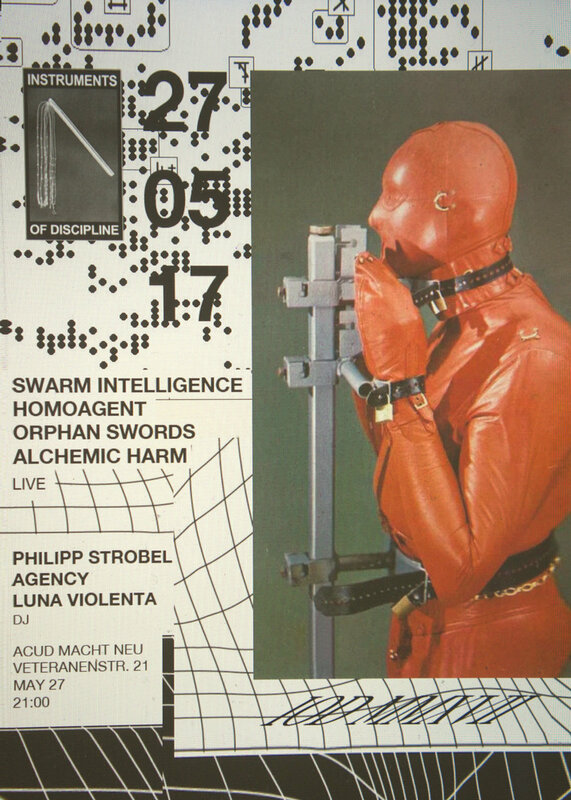 To help mark the record's release, Instrument of Discipline is staging an incredible live showcase event in Berlin on May 27th at Acud Macht Neu. The stage will play host to performances by Swarm Intelligence, Homoagent, Orphan Swords and Alchemic Harm. With Philipp Strobel, Agency and Luna Violenta as DJs, do not miss this night. Home Recordings is out now on 12" and digital formats and you can pick up the release here.